Commonly know with the marketing name Choisya ternata Sundance or common name Mexican orange Sundance. 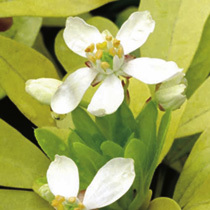 It is an evergreen shrub of medium size and rounded habit. 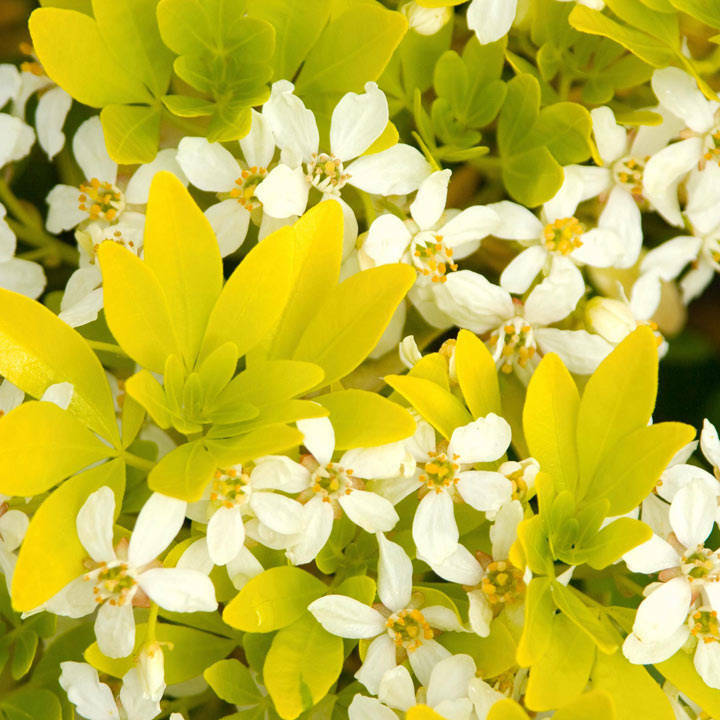 Glossy bright yellow leaves with clusters of fragrant white flowers. An economical way to introduce plants that will create lasting structure in your garden. RHS Award of Garden Merit winner. Flowering time June-July. Height 2.5m (8'); spread 2.5m (8'). Supplied in a 2 litre pot.